Jordan Brand released a new colorway way of the Air Jordan 1 Retro that was not included in the original lineup of shoes for this month. 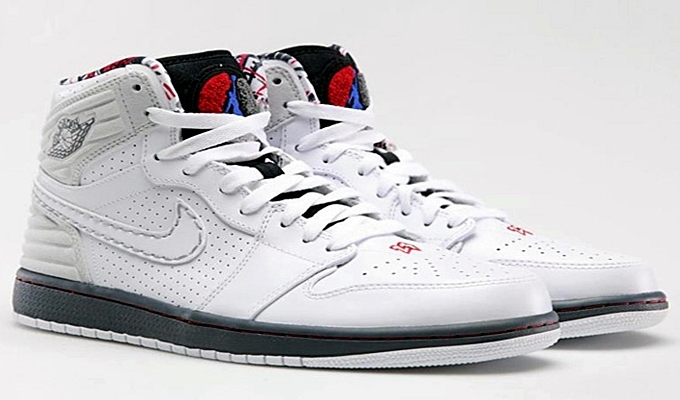 As part of the commemoration of the first three-peat of Michael Jordan and the Chicago Bulls, JB released the White/True Red-Neutral Grey colorway of the Air Jordan 1 Retro ’93. This edition is obviously inspired by the “Bugs” edition of the Air Jordan VIII. This kick is a limited release so get your own pair now for just $130 per pair.